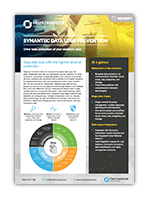 Symantec is the world’s leading cyber security company, allowing organisations to secure their most important data wherever it lives. Enterprises across the world rely on Symantec for integrated cyber defence against sophisticated attacks across endpoints, infrastructure and cloud. 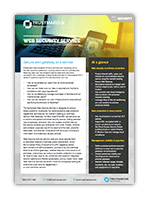 Symantec is the global leader when it comes to security. Whether that be network, endpoint, cloud or web, Symantec has the right security solution for you. 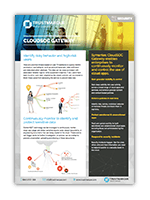 Market leading products such as Symantec Data Loss Prevention and Symantec Cloud Access Security Broker, alongside a Gartner recognised Endpoint solution, offer the best of breed when securing your sensitive data, whether in rest or in transit, on premise or in the cloud. At Trustmarque, we offer in-depth technical expertise across Symantec’s solutions, protecting all areas within your business, including data, servers, virtual machines, mobile devices and endpoints to deliver comprehensive security solutions. Trustmarque are proud to be recognised as a Symantec Silver partner.